adidas Originals x SPEZIAL Intack SPZL (Night Indigo/Chalk White/Night Indigo) - Consortium. The adidas Originals x SPEZIAL Intack SPZL draws inspiration from the archival Gaucho silhouette, shown here in Night Indigo/Chalk White/Night Indigo with a premium suede upper; bermuda tooling; premium suede serrated side stripes and heel tab; overlaid lacing panel; adidas Spezial bonded tongue branding; lightly padded leather collar and removable adidas Spezial branded sockliner. The adidas Originals x SPEZIAL Intack SPZL is finished with a durable rubber sole unit with inset adidas Trefoil branding at the heel. 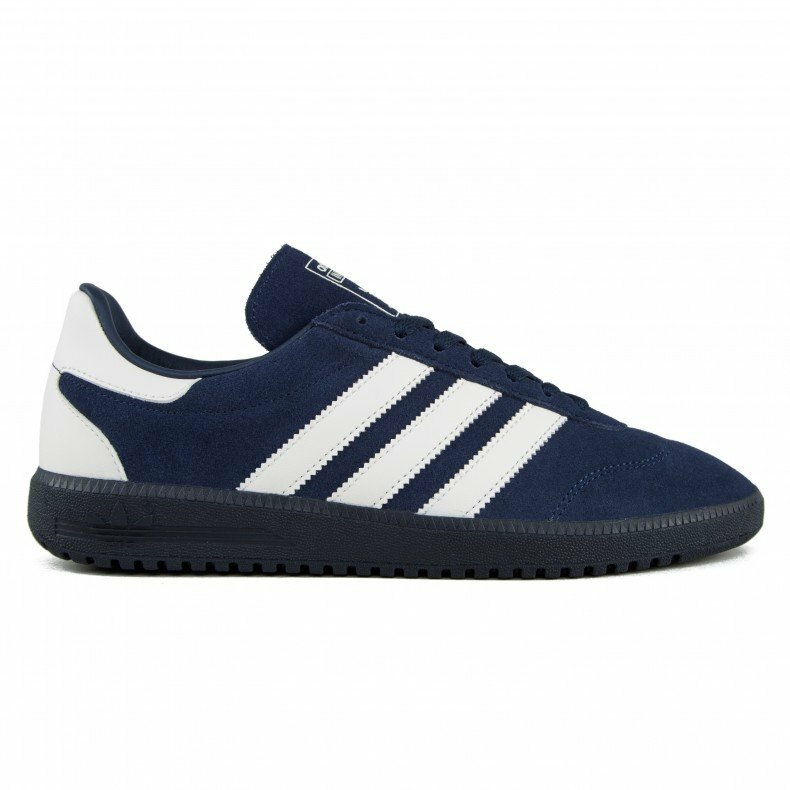 * Premium suede serrated side stripes and heel tab.